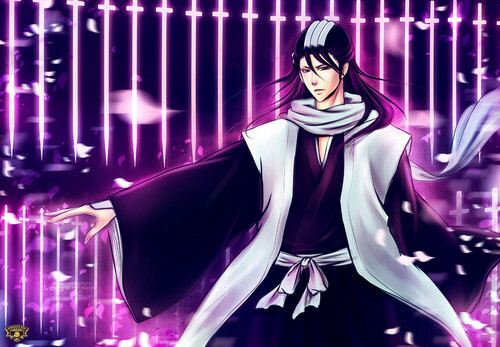 BYAKUYA. TO ALL MY BLEACH fãs. HD Wallpaper and background images in the anime bleach club tagged: bleach anime shinigami byakuya kuchiki. This anime bleach photo might contain vestido de noite, vestido de jantar,, vestido de noite formal, vestido de comensal, formal, vestido, and vestido de jantar.